A meal created for a movie? We should have more of these. 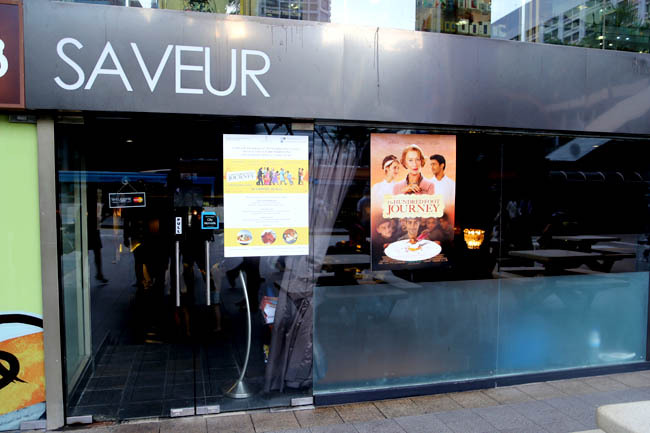 Saveur, known for its affordable French fare, is adding some touches of Indian to its “The Hundred-Foot Journey” set meal. 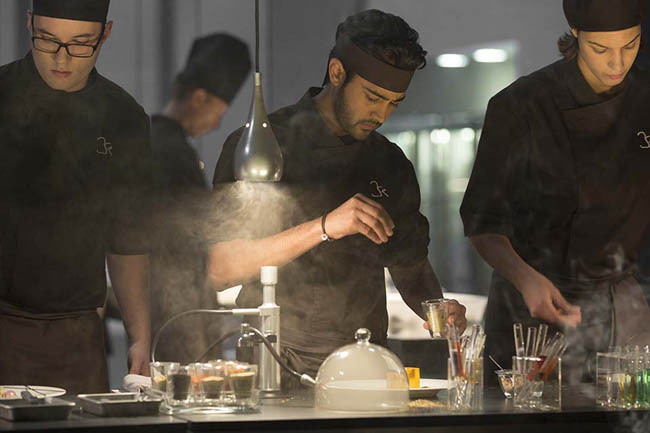 It is obvious that I am a fan of ‘food movies’, and The Hundred-Foot Journey about the cultural clashes between a French restaurateur and a new Indian restaurant in a small French country town looks set to set some stomachs growling. And drama-comedic sparks flying. This French-Indian 3-course fusion meal, which consists of Seafood Bouillabaisse, Lamb Shoulder and Tarte Au Citron ($36.90++), is created exclusively for the release of The Hundred-Foot Journey in Singapore, and is limited till 14th September. 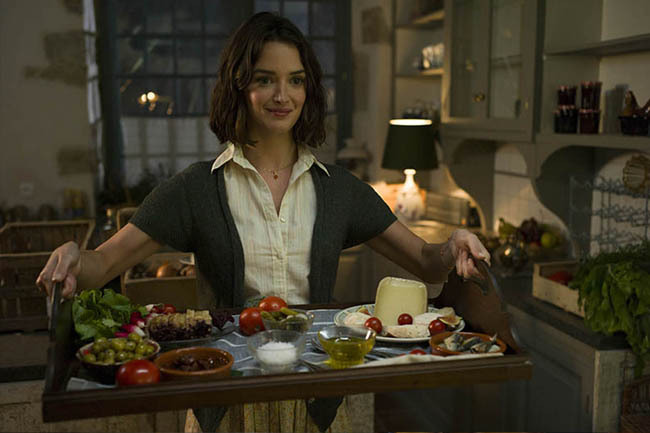 As the movie is set in the south of French, Saveur owners Dylan and Joshua decided to include bouillabaisse – a typical dish from Marseille in Southern France, into this special menu. 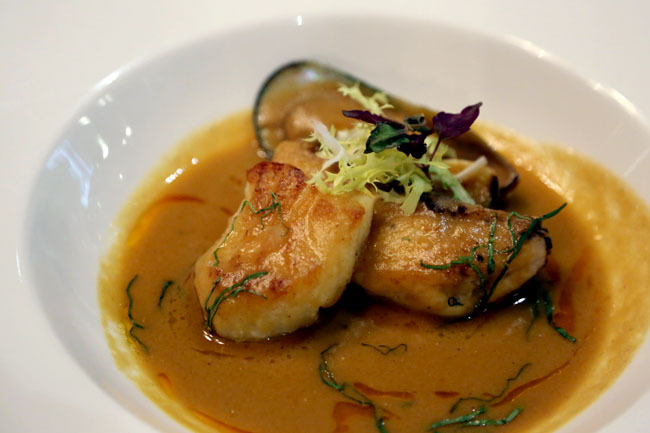 The classic dish also known as ‘fish stew’, is loaded with fresh sea bass, cod, mussel and clam, in a thick rustic tasting stock made from lobster and fish. 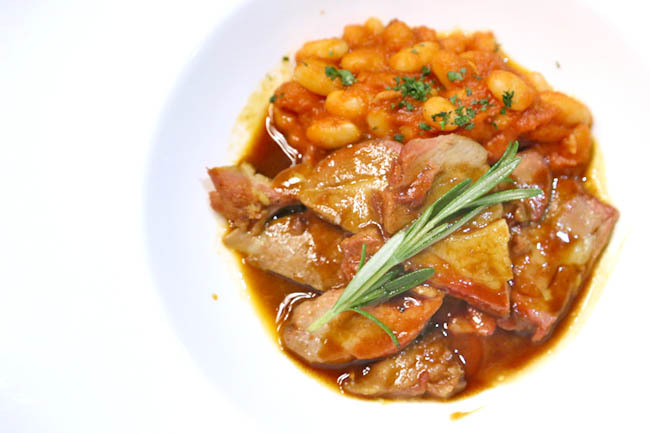 The Indian element comes in the form of braised Lamb Shoulder, marinated with curry de madras (a supposedly fairly hot curry sauce) and served with a side of coco bean cassoulet. We were all looking forward to the dessert, usually a forte of Saveur, this time coming in the form of a deconstructed Tarte Au Citron. 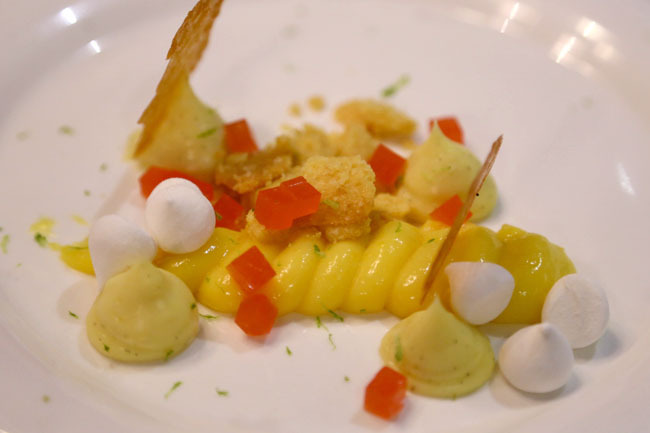 There were many elements in the dessert, like how sable breton (a type of French biscuit) is mixed with smooth lemon curd; and sweet vanilla mousseline went with tangy lemon gelee. 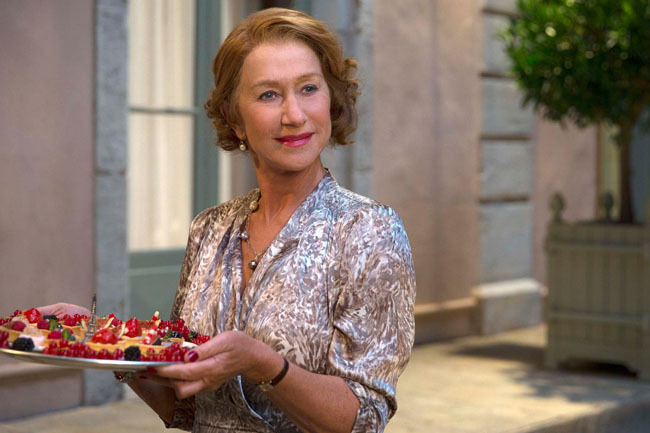 I figure that the creator wanted to show how clashes can be balanced – echoing the central theme of The Hundred-Foot Journey. Clever. Other than the Saveur set menu, another culinary fringe event which may interest fellow foodies is a Le Cordon Bleu Pop-Up Diner, happening on 23 & 24 August at PasarBella from 10am to 7pm. 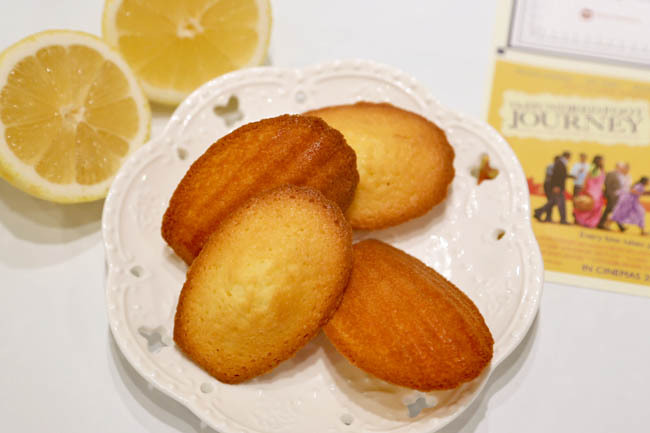 This is the first time Le Cordon Bleu is doing a pop-up diner in Singapore, and they will be doing cooking demonstrations throughout the day, preparing traditional madeleines and omelette aux fines herbes, inspired by ‘The Hundred-Foot Journey’. Plus, attendees get to do free sampling of the dishes whipped up at the demos. The Hundred-Foot Journey already sounds like a tasty film, about the culinary pursuits of a displaced Indian chef who opens an Indian restaurant in a quaint village south of France. He meets with opposition from the proprietress of a Michelin-starred French restaurant, and starts on an unlikely rivalry and friendship. 1. 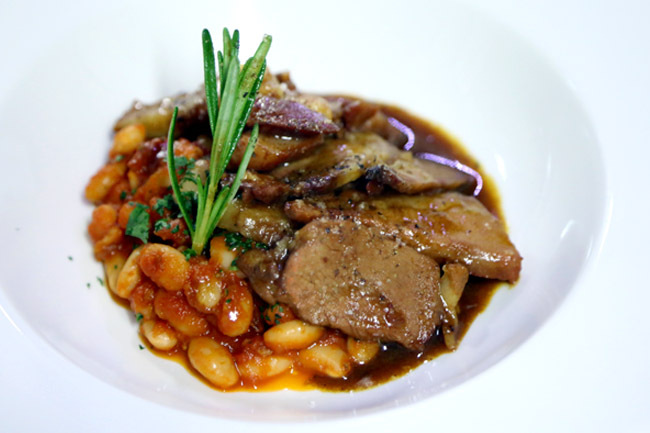 Traditional Indian cuisine meets classic French food…the food scenes should leave one hungry for more. 3. And I want to hear her nail the French accent. 4. Director Lasse Hallström is also behind one of my other favourite food movies – Chocolat. 5. Did I mention that the producers are Steven Spielberg, Oprah Winfrey and Juliet Blake? Oprah Winfrey wanted to produce a film adaption of one of her favourite novels because “Food blends cultures and allows us to have just a little peek into someone else’s life…” Sounds like a delicious, moving and inspirational film to catch. [Updated] Délicieux! Just caught The Hundred-Foot Journey. Helen Mirren was luminous (as usual), Om Puri was brilliant, but the surprising breakthrough performance came from rising star Manish Dayal. If the cast was a restaurant, it could very well earn its Michelin star. *This blogpost is brought to you by Walt Disney Studios Singapore. The Hundred-Foot Journey will be released in theaters on August 28, 2014. ← 10 Best Street Food In Penang – The Penang Food Guide!